These images were captured using an iPhone 5s afocally attached to the telescope. Approximately 30 seconds of video was used for the Moon images and at least two minutes of video was shot for the deep sky images. Each video was stacked and aligned using Astro IIDC with about 200 frames stacked for the final image. Levels, curves, and unsharp masking was applied to taste. Camera zoom was used on most images in order to fill the iPhone’s frame. The iPhone app, Manual Camera has been used successfully to record videos. This app records at a resolution of 1080p. Another iPhone app, MoviePro can record at various resolutions up to 3072x1728 @30fps and the amount of video compression can be adjusted. NightCap Pro has been used for most of the DSOs and has the ability to average multiple frames together and boost the effective ISO ratings on the iPhone. Nebulosity 4 was also used to stack and align deep sky images. 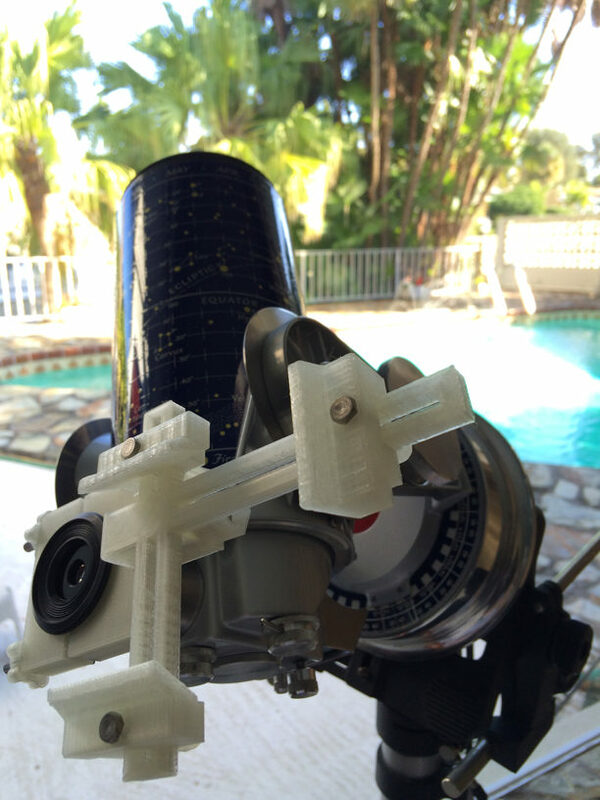 The holder that attaches the iPhone to the telescope can be seen HERE. Be sure to click on Download to see the full resolution images.